Last week felt like it lasted an eternity and I was looking forward to just having some wine and dinner out after work Friday. 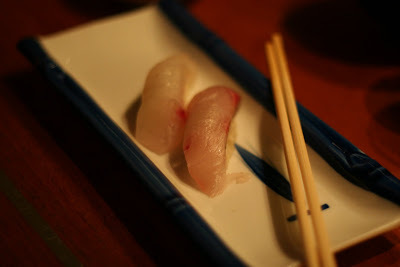 That changed when J texted me in the afternoon saying our friend was coming to dinner, so I found myself clicking through Food Gawker trying to find some inspiration. I'd pretty much decided on making a baked pasta dish, only because I had a batch of homemade marinara in the freezer I could use and I knew I didn't have a lot of time. I wasn't exactly sold on the idea but couldn't think of anything else. After making a shopping list I headed out of work and off to Whole Foods. On the way there I was finally hit with a wave of inspiration after remembering some beautiful heirloom potatoes I'd purchased a couple of days before. They were baby, fingerling-like ones that came in several different colors- deep purple, pink, blush...and I knew I wanted to make something using those. 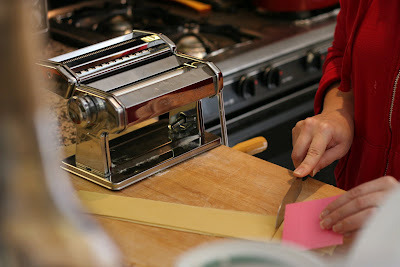 Luckily Whole Foods still had them, so I tossed the baked pasta idea out and a dinner started to take shape. After grabbing a tub of Boursin cheese, a ball of pizza dough from the Whole Foods chef and some marinated seafood anitpasti, I was off. Marinated mussels and marinated octopus with green olives, which I purchased. Roasted carrots drizzled seasoned with garlic, drizzled with lemon juice & olive oil and finished with cilantro. The result of the inspiration: a potato pizza which was so easy to put together. I just pressed the pizza dough into a baking sheet, brushed with olive oil and then smeared with Boursin cheese. Topped with thinly sliced potatoes, red onion, fresh rosemary and Italian parsley, it was really delicious! This was the thing that I did spend some time on, but it didn't take too long. I had some beautiful blood oranges from my parents' tree so I layered them with some sugar and butter into a simple galette crust made from flour, sour cream, butter, ice water and lemon juice. I especially loved the colors of the meal and I am really looking forward to the spring and summer produce at the local farmer's markets for more inspiration! Hope you give this potato pizza a try sometime! 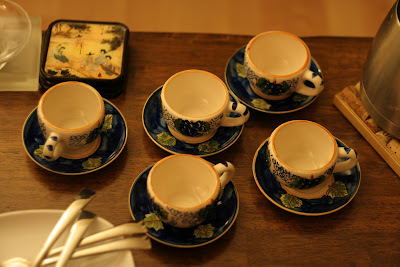 As you can see, I finally got my camera battery and I am back in business! 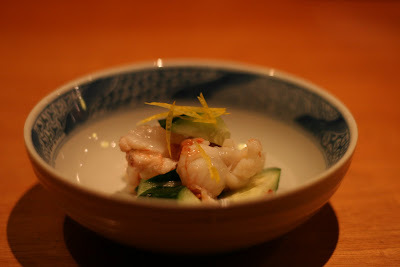 This meal was awhile ago- it was to celebrate my mom’s birthday which was on Valentine’s Day. 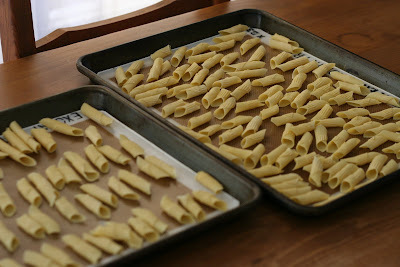 I’ll let the photos speak for themselves, but I’d always loved the ridges in garganelli pasta and wanted to try making it myself. 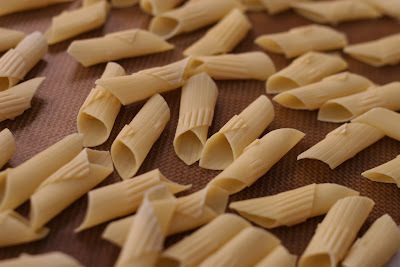 I’ve made homemade pasta in the past, but never a tube-shaped pasta, and certainly not anything with ridges. 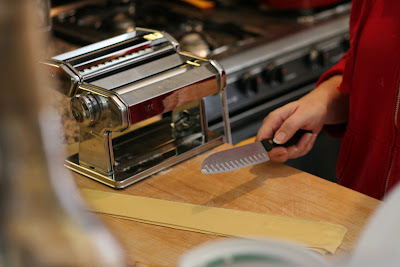 After a quick email for advice to my friend (who is also the Executive Chef at Osteria Mozza and is patient enough to answer my nagging cooking questions!) 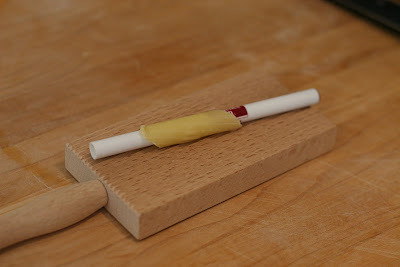 I found that I could make the ridges by rolling squares of egg pasta around a quill on a gnocchi board. 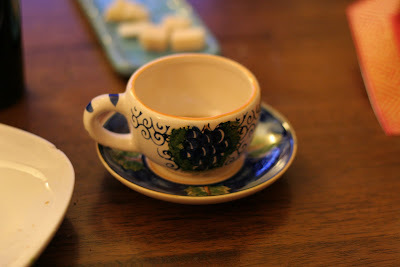 It was time consuming but relatively easy, and I found the whole process very relaxing. I measured out pasta squares using a Post-it! My quill was actually a pen, but don't worry, I washed it first! 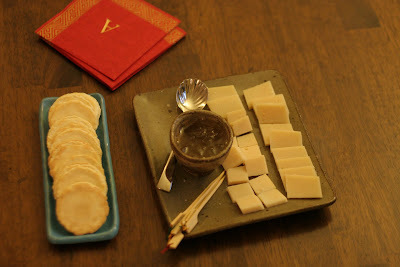 Cave-aged Gruyère served with pear mostarda, an Italian condiment made from candied pear and mustard powder or essence. 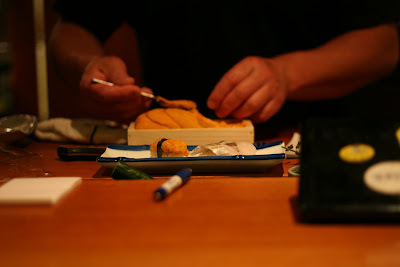 The sweet/hot jam is usually served with boiled or roasted meats but is good with salty cheese as well. 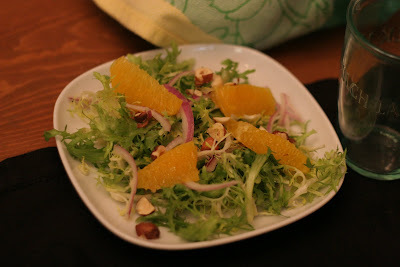 Frisée salad with navel oranges, toasted hazelnuts and Dijon-citrus vinaigrette. I love the combination of red onions with sweet oranges and spicy Dijon mustard. 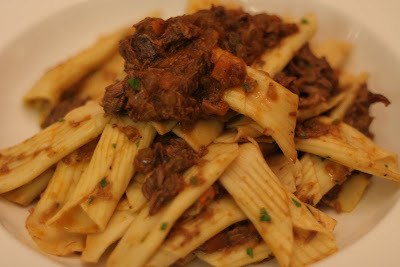 Garganelli con ragù d'Anatra (garganelli with duck ragu). 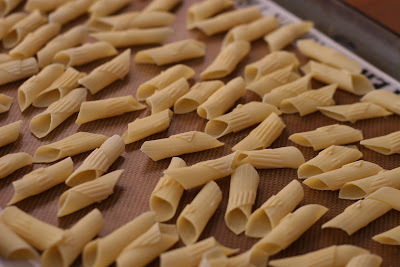 The tubes fell a little bit so next time I’ll let the pasta dry longer before freezing and boiling. I froze each batch after I made it so I could pile them in Ziploc bags without risking squishing them flat, and it worked. 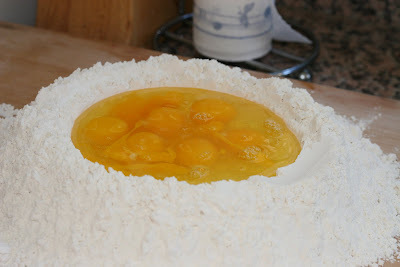 Overall, it was absolutely delicious and perfect with a generous grating of parmesan. 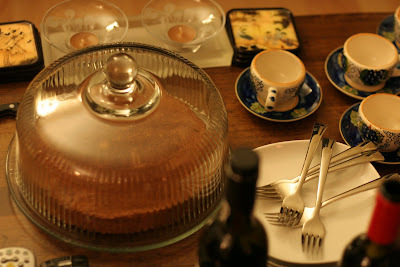 For dessert I made a simple toasted hazelnut cake that was moist and tender. 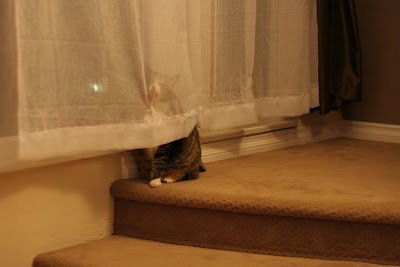 Speaking of cute, here is Cory, caught in the act of licking the curtains, an odd habit. 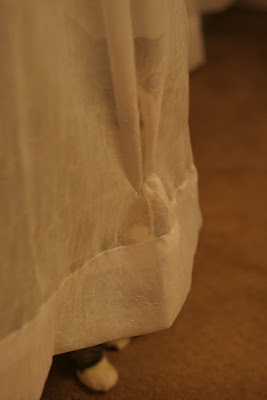 It’s something she has done since she was a kitten- she seems to like the roughness of the gauzy curtain on her tongue. When I wear a sheer, gauzy shirt she’ll lick the sleeve too. Strange, but perfectly harmless, at least to her...it probably isn't so great for the curtains and clothes! More coming soon! Thanks for your patience:). My camera battery died, and after multiple attempts to recharge it, I figured out that it, well....died/died! 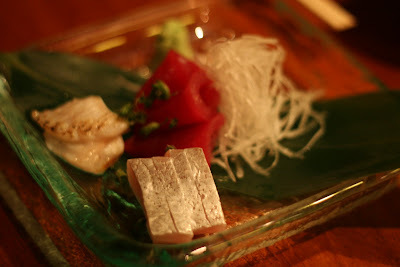 I miss blogging and have been cooking and eating some pretty great food, so please stick around and I'll be back as soon as my new battery comes in the mail! 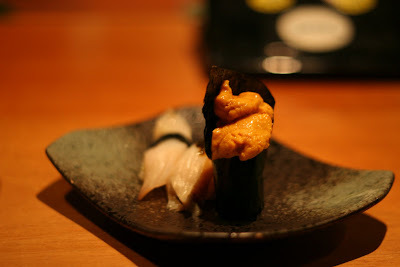 In the meantime, here are some snaps I took during our epic, omakase meal at Sebo Sushi in San Francisco awhile back.